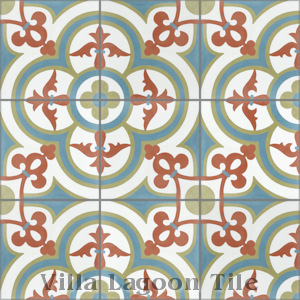 These are a series of 8" cement tiles using colors from the South Beach Palette. 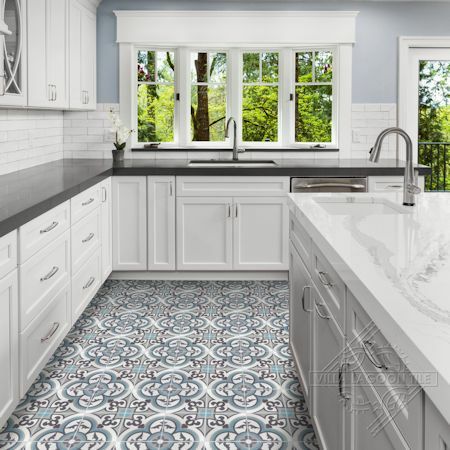 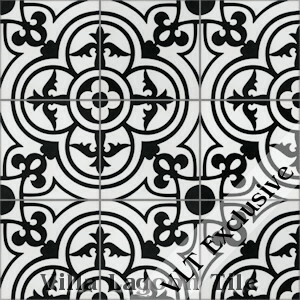 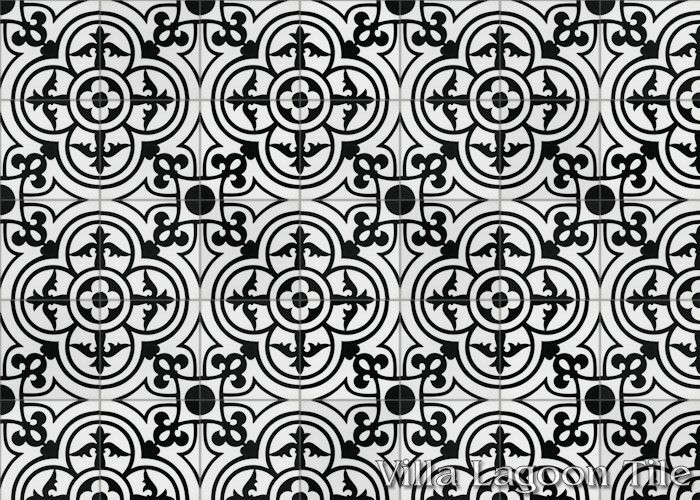 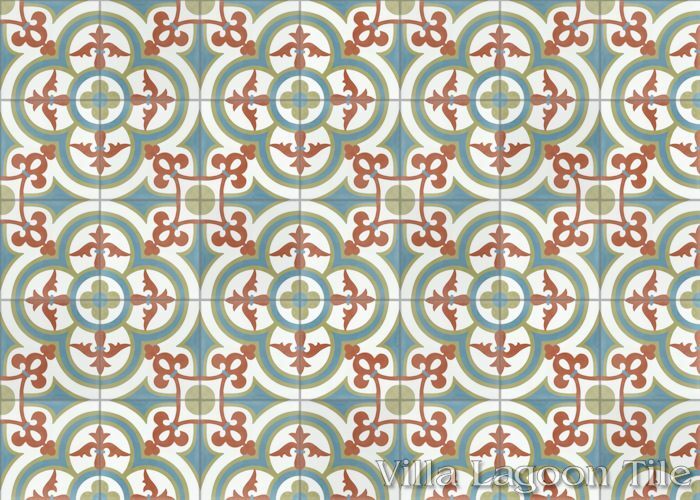 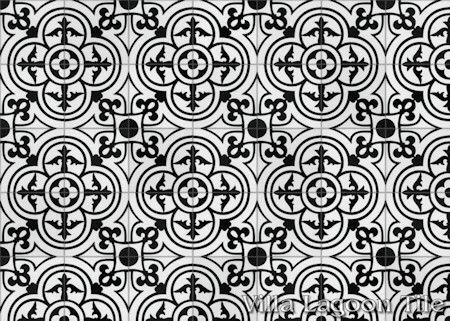 Our original "Caprice" cement tile design was created in a very traditional cement tile style. 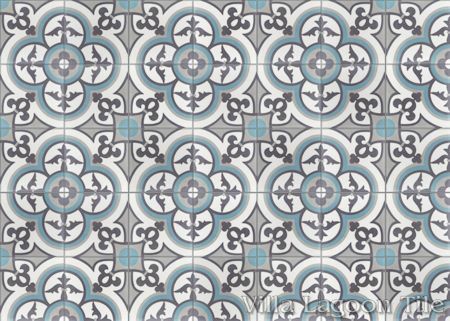 The field is comprised of alternating quatrefoils and spear-point crosses, common to both Spanish and French cement tile designs. 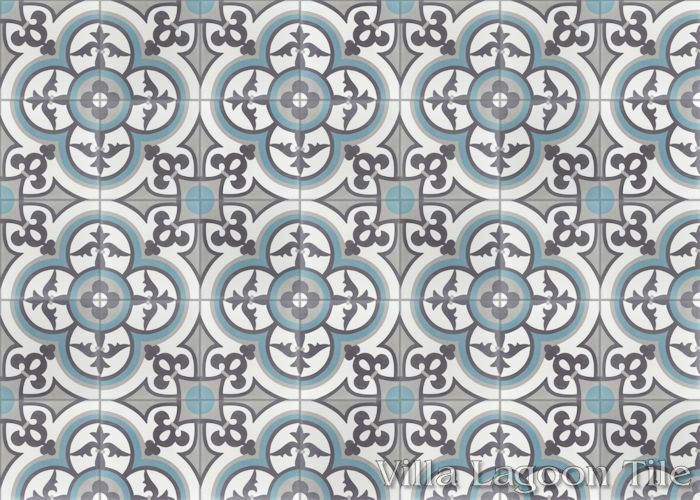 Additional floral and organic accents complete the pattern. 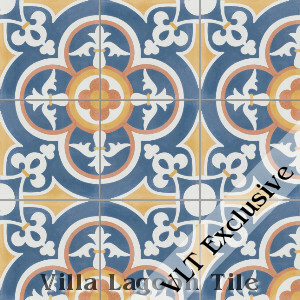 Standard Price:$6.24 per tile ($14.35 / square foot)* tiles per box. 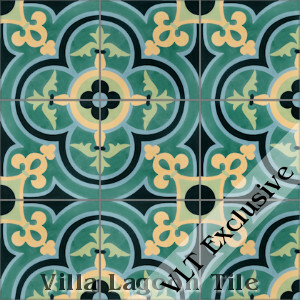 Standard Price:$7.29 per tile ($16.77 / square foot)* tiles per box. 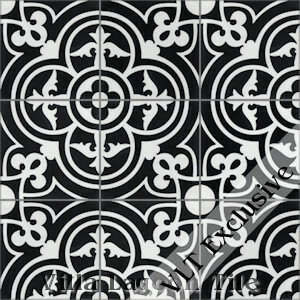 *Some of our stock may still be 16mm (½") thick, 12 pcs / box. 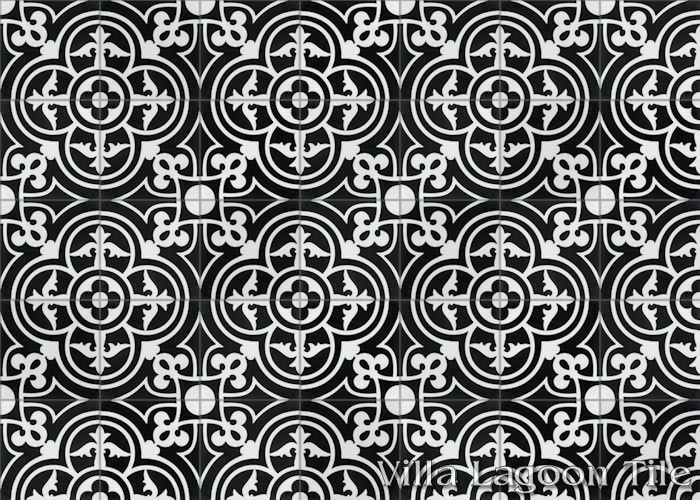 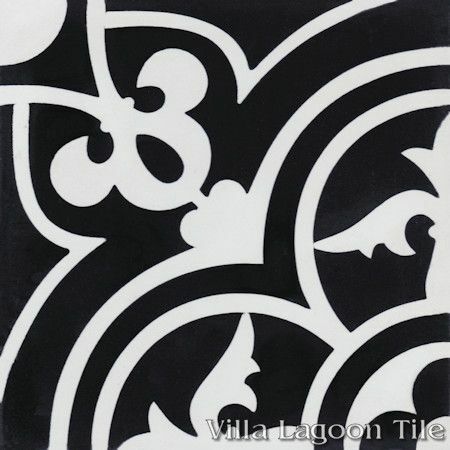 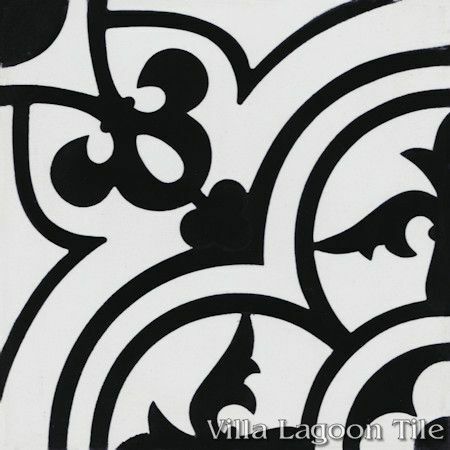 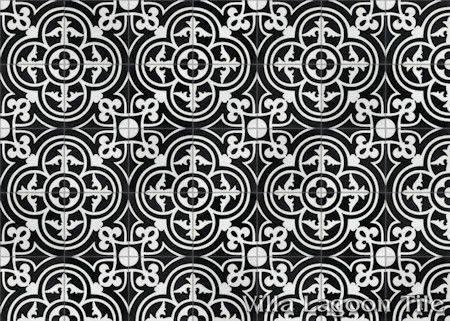 Villa Lagoon Tile's "Caprice" cement tile pattern using Black and White from the South Beach Palette. 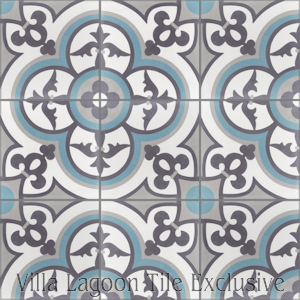 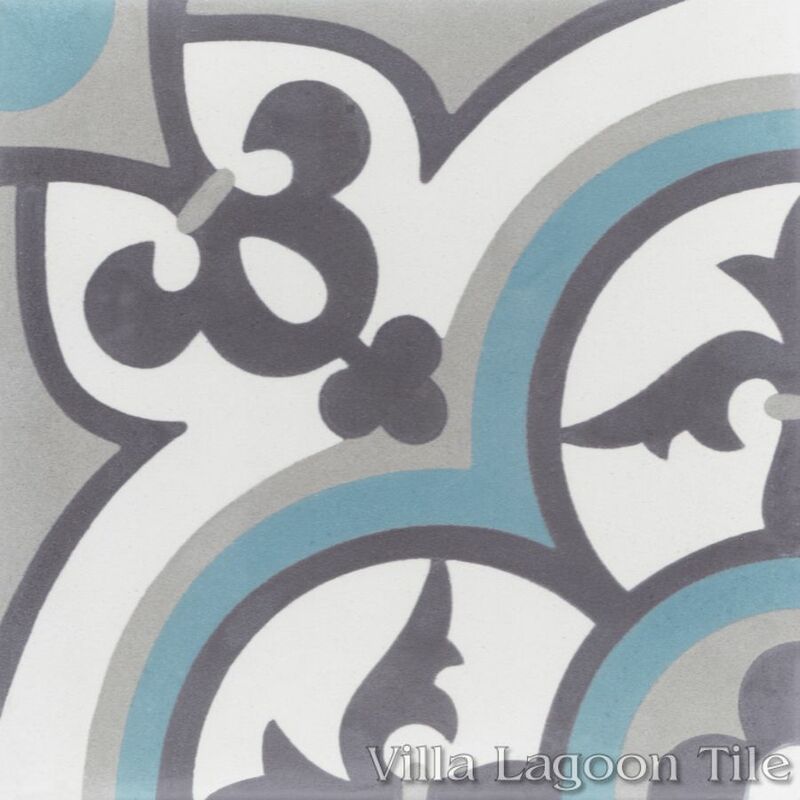 Villa Lagoon Tile's "Caprice" cement tile pattern using Excalibur, Urban Gray, Fog, and Celeste from the South Beach Palette. 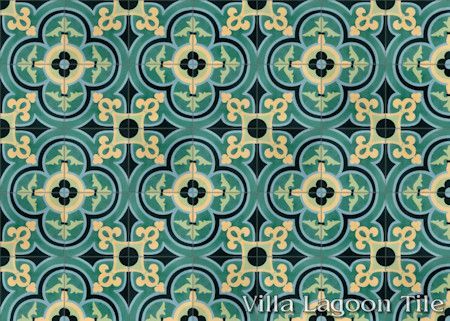 Villa Lagoon Tile's "Caprice" cement tile pattern using Green Apple, Ponderosa, Jade, Velvet Sky, and Straw from the South Beach Palette. 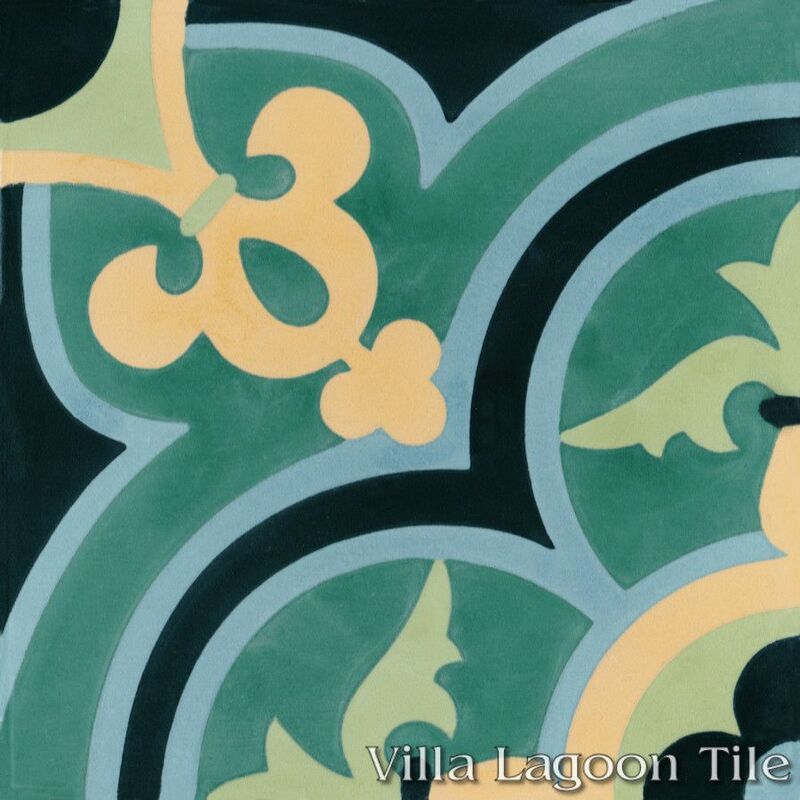 Villa Lagoon Tile's "Caprice" cement tile pattern using Whipped Cream, Fern, Jade, Malibu Blue, and Terracotta from the South Beach Palette. 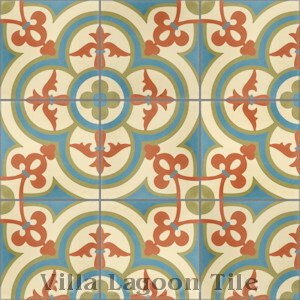 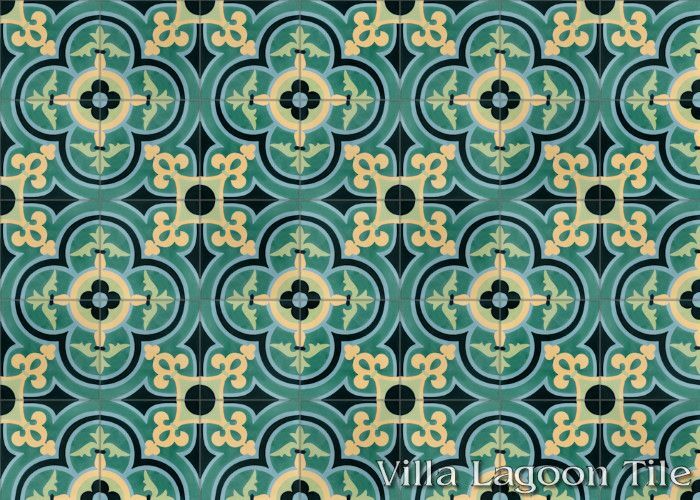 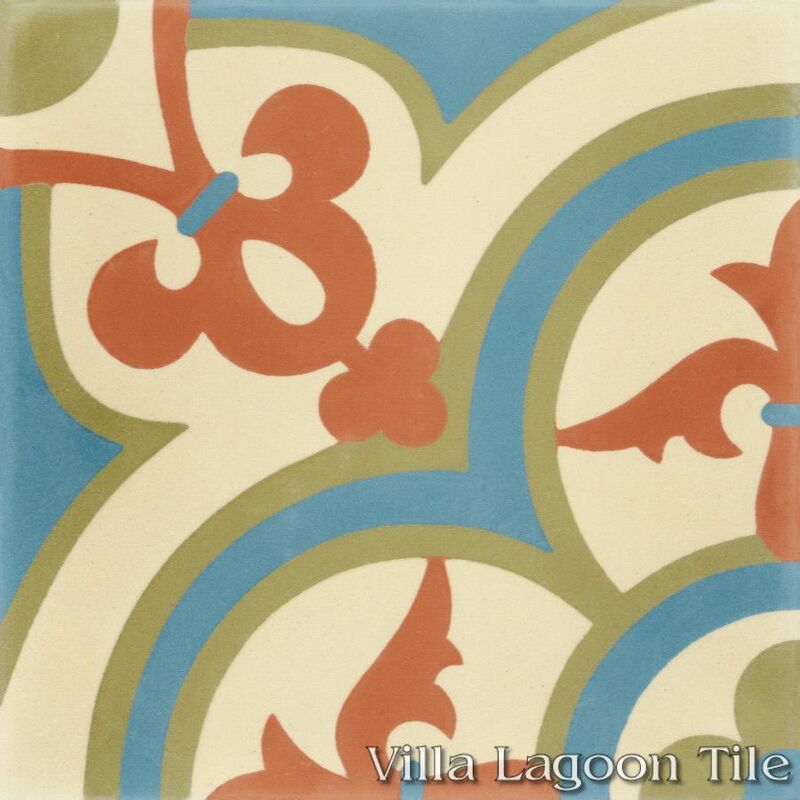 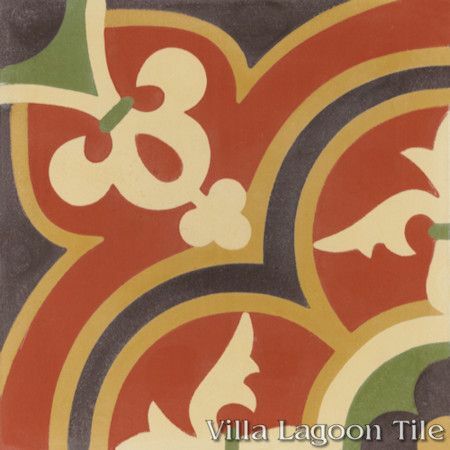 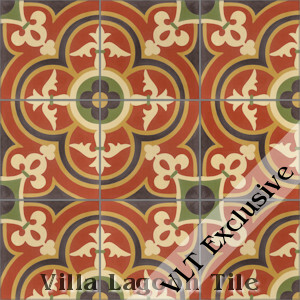 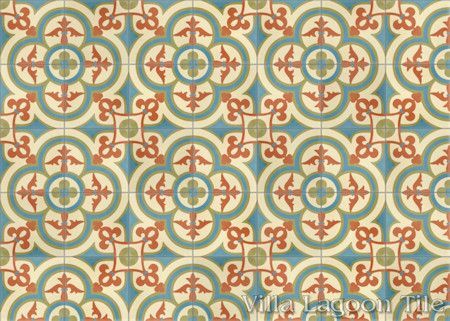 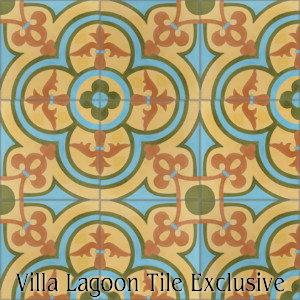 Villa Lagoon Tile's "Caprice" cement tile pattern using White, Fern, Jade, Malibu Blue, and Terracotta from the South Beach Palette. 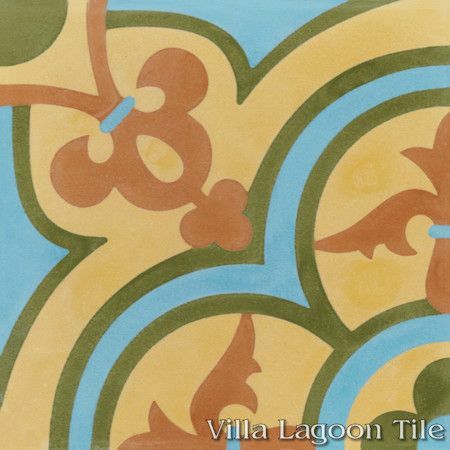 Villa Lagoon Tile's "Caprice" cement tile pattern using Picholine, Henna, Espresso, Oro, and Straw from the South Beach Palette. 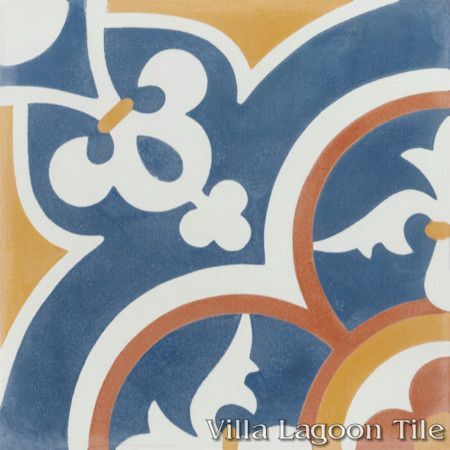 Villa Lagoon Tile's "Caprice" cement tile pattern using White, Washed Denim, Smoked Pumpkin, and Maple Sugar from the South Beach Palette. 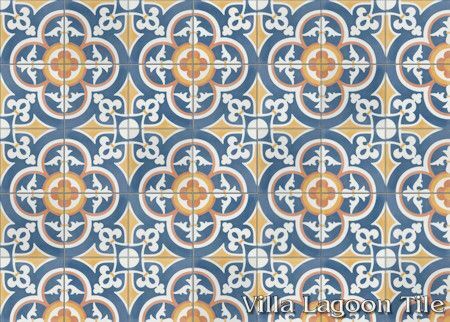 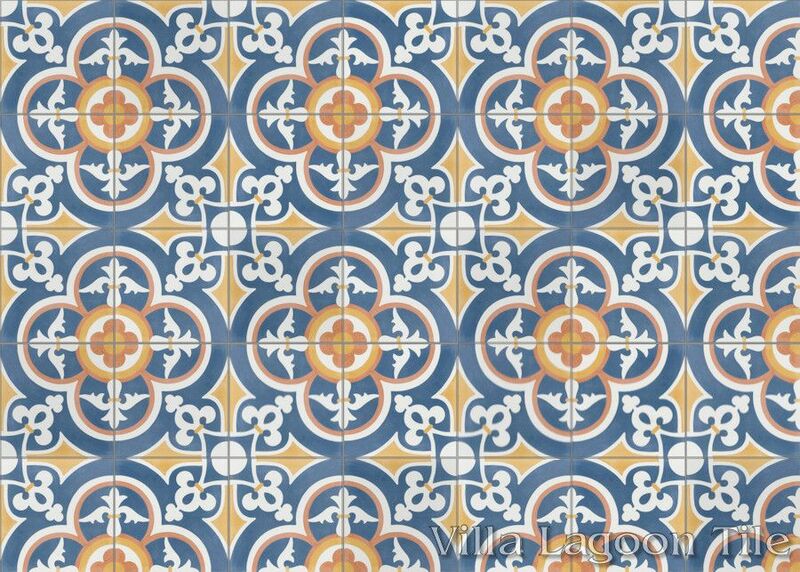 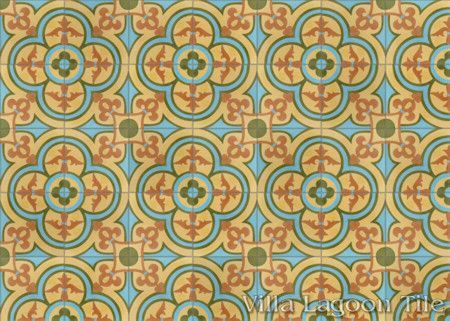 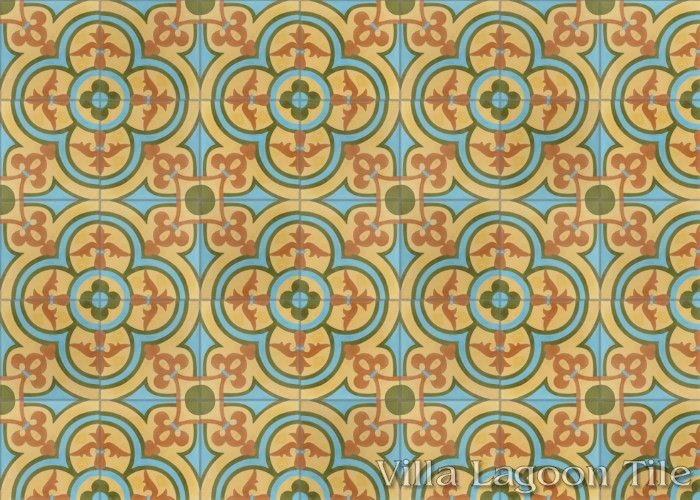 Villa Lagoon Tile's "Caprice" cement tile pattern using Picholine, Miami Blue, Straw, and Ochre from the South Beach Palette.